Rediff.com » News » Is it a bird, is it a plane? It's 'super' Trudeau! Is it a bird, is it a plane? It's 'super' Trudeau! Canadian prime minister and world leader poster boy, Justin Trudeau, dressed up for Halloween and we can’t help but smile at his costume! 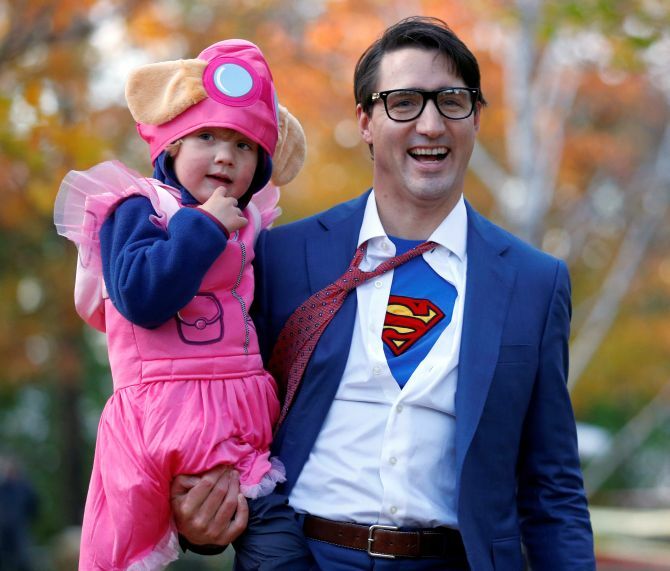 Trudeau stealthily dressed as Clark Kent, and exposed himself as Superman. That’s right, Superman. Trudeau came down the stairs of the House of Commons dressed as Kent, a bespectacled and introverted journalist for the fictional Daily Planet. But as he reached the bottom of the stairs, he ripped open his shirt to reveal a Superman logo. The Canadian leader was on his way to Question Period. He was later photographed at Ottawa’s Rideau Hall with his wife and three children, surrounded by fellow Halloween celebrators. 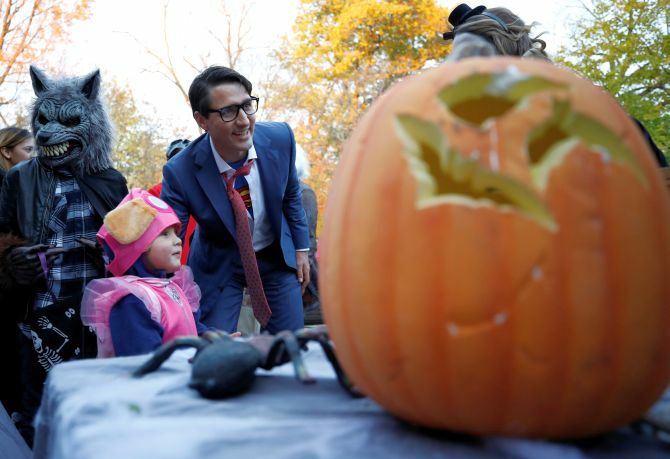 Trudeau has a history of having fun with Halloween, choosing Han Solo of “Star Wars” fame for his first year in office. Last year, he went as a pilot from the French children’s book “Le Petit Prince,” while his youngest son, Hadrien, went as the title character.